Estero was started in 1894 by Cyrus Teed and his followers in connection with his utopian community known as the Koreshan Unity. The community grew and prospered in the years following, even starting their own political party called The Progressive Liberal party. Their growth continued until 1908 when Teed passed away and the community began to dwindle. Currently, Estero has a population of 30,470, with a median age of the population at 62. Located on the Gulf Coast between Naples and Fort Myers, Estero is a quiet town and a retirement community. Tourists and residents alike can relax on the beach or on the golf course, or take a stroll in one of the many nature preserves or parks that Estero is known for. Each year, residents of Estero are injured in accidents. 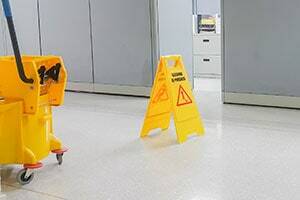 Accidents that occur as the result of someone else’s negligence or reckless behavior can be particularly difficult if they leave the victim with substantial injuries. Negligent or reckless behavior can include operating a vehicle in an unsafe manner, failing to fix broken walkways, or a biting dog not on a leash. If you have been the victim of an accident, contact the Estero personal injury lawyers at the Wolfson Law Firm. Injuries that result from accidents often result in high medical bills and may impact a victim’s ability to work. When injured in an accident, it is important to seek medical treatment quickly to prevent further injury. Injuries that appear relatively minor can cause great damage and pain if left untreated. Our Estero personal injury lawyers can help answer your questions about paying for medical treatment and recovering lost wages. If you or a loved one has suffered injuries or a fatality as the result of a personal injury accident and would like to speak to our Estero personal injury lawyers, contact the Wolfson Law Firm at (239) 777-9954 for a free consultation. Why Contact an Estero Personal Injury Lawyer? Wondering if you have a case? Have questions? Want a free consultation at a Fort Myers personal injury law firm? Contact the Wolfson Law Firm at (239) 777-9954 for a free consultation. If you have been the victim of an accident or a reckless act that was the result of someone else’s negligence, seeking representation early may help you to recover lost wages and receive the medical treatment that you need. While insurance companies may rush to settle quickly, our Estero personal injury lawyers will consider the merits of your case. If your injury was extensive and requires continued care or if you will be unable to work for an extended period of time, a rush settlement may not take this into account. Seeking representation will help personal injury accident victims to receive the compensation needed to recover from the accident and restore their lives. If you or your loved one has been the victim of a personal injury accident, contact the Estero personal injury lawyers in Fort Myers at the Wolfson Law Firm at (239) 777-9954 for help. The Estero personal injury lawyers at the Wolfson Law Firm can help you and your family to get on the path of recovery. We will listen to you and answer your questions. We can help you understand your legal options and the possible paths to the compensation that you deserve.